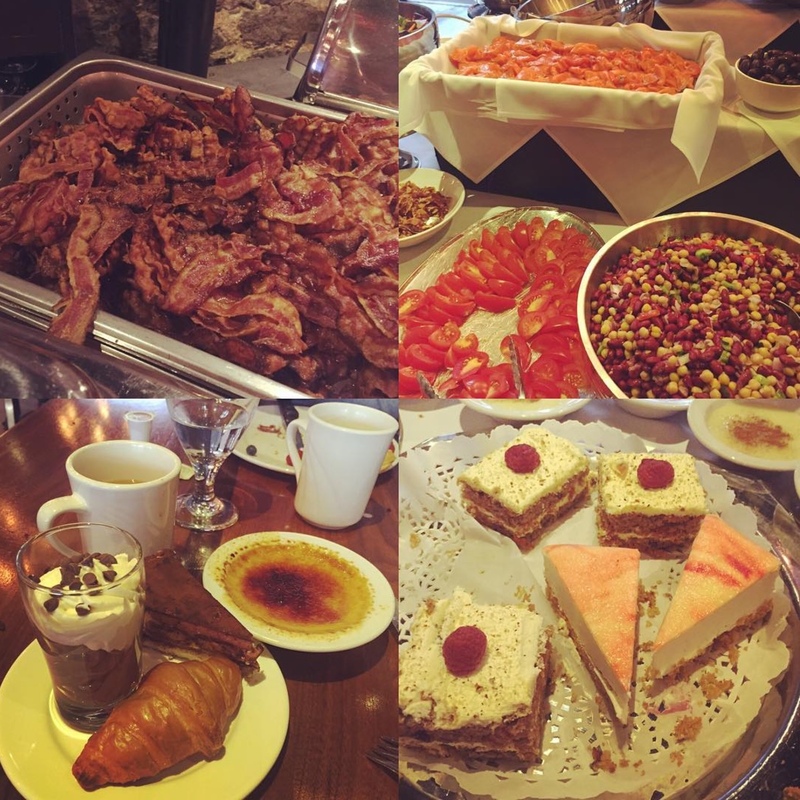 Montreal: Brunch, Cheap Eats, Buffets & Desserts ! Montreal is listed as one of the best places to eat in the world and it’s definitely no surprise since the city is made up of so many people from all ethnicities, making it an international culinary hub. I was fortunate to have grown up here and had the luxury of trying all types of authentic cuisines. I’m a big foodie myself so I love exploring new restaurants to eat so on top our famous dishes like smoke meat, poutine, and bagels (which are definitely must eats if you’re in town! ), I’ve compiled a list of my favourites in the city! I’m also a big fan of cheap eats…if something tastes amazing and it’s inexpensive, I don’t know why, but it makes it even more delicious! 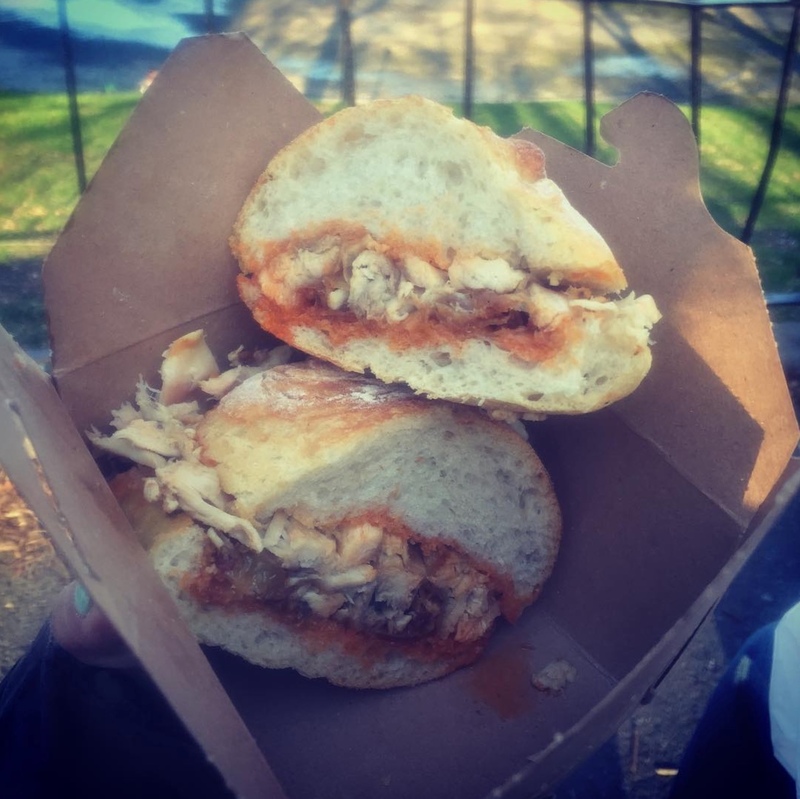 So if you’re on a budget, give my list of Montreal cheap eats below a try! For those who prefer the fancier side of things, I also have plenty of suggestions for nicer and more pricier restaurants so don’t you worry! So you ready to start your foodventure?!?! Check out below for some of the best places to eat in Montreal…Bon Appetite! 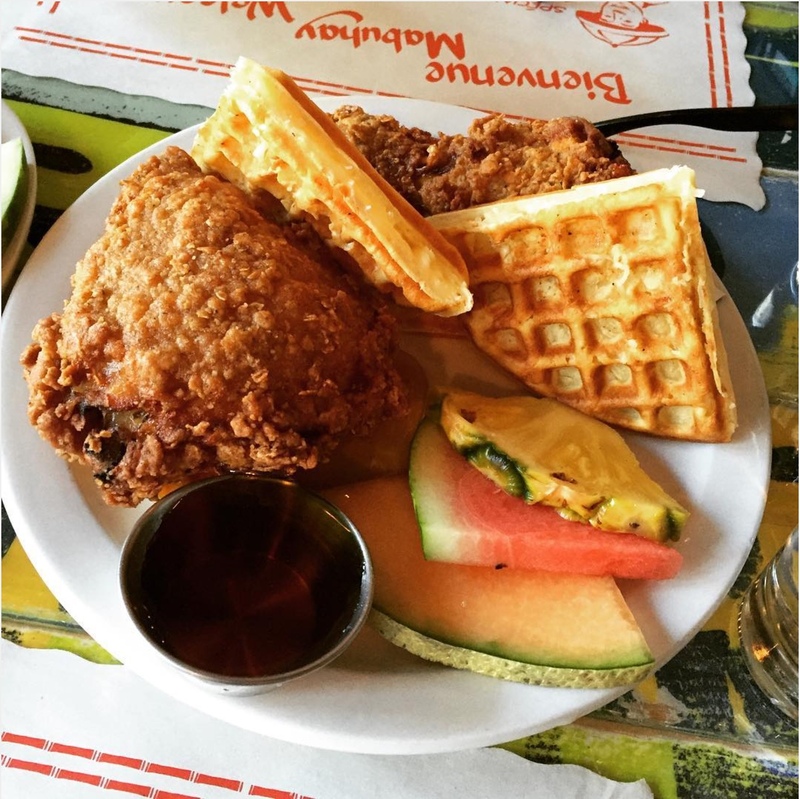 Montreal is famous for its weekend brunches and we’ve got a good selection of them too! When I go out to eat brunch, I have a hard time choosing what I want since I want to eat EVERYTHING so that’s why I love going to La Petite Marche since they give you…well… everything! You have to first choose what you would like as a main meal. These include salty plates like mushroom egg Benedict’s on focaccia bread, spinach & feta omelette, and smoke salmon bagel or sugary plates like pears & chocolate crepes, coconut & figs crepes, and strawberry crepes. Hold on, that is just the MAIN DISH…wait till you here about the sides it comes with; they all include: sauteed mushrooms in wine, potatoes, bowl of fresh fruits, bacon, ham, sausage, Italian baguette, coffee and orange juice. Just thinking about this makes me hungry! If you’re looking for a unique brunch experience, Junior is your place! A fairly small Filipino restaurant located in Little Burgundy, it’ll definitely catch your eye based solely on its cute decor and seating arrangements. 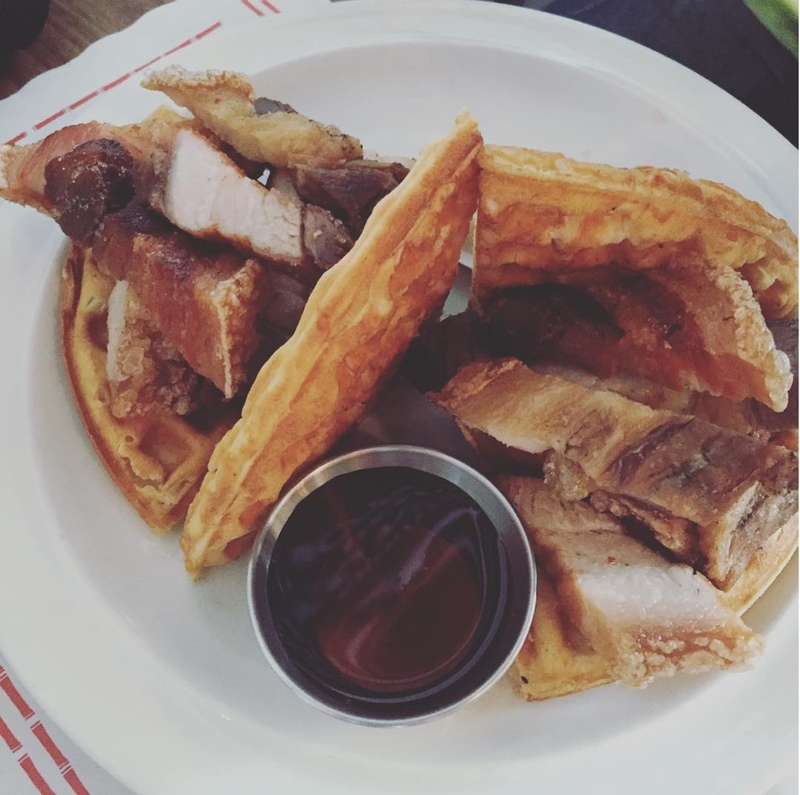 They have a small brunch menu comprised mostly of fried rice, sunny side-up egg, plantain chips and meat (I actually haven’t tried any of those dishes) but what I would highly recommend is there “Fried chicken & waffles” and “Lechon & waffles”! They serve coconut waffles (best waffles I’ve ever had!) along with either 2 pieces of juicy fried chicken or crispy fried pork belly! Need I say more?? 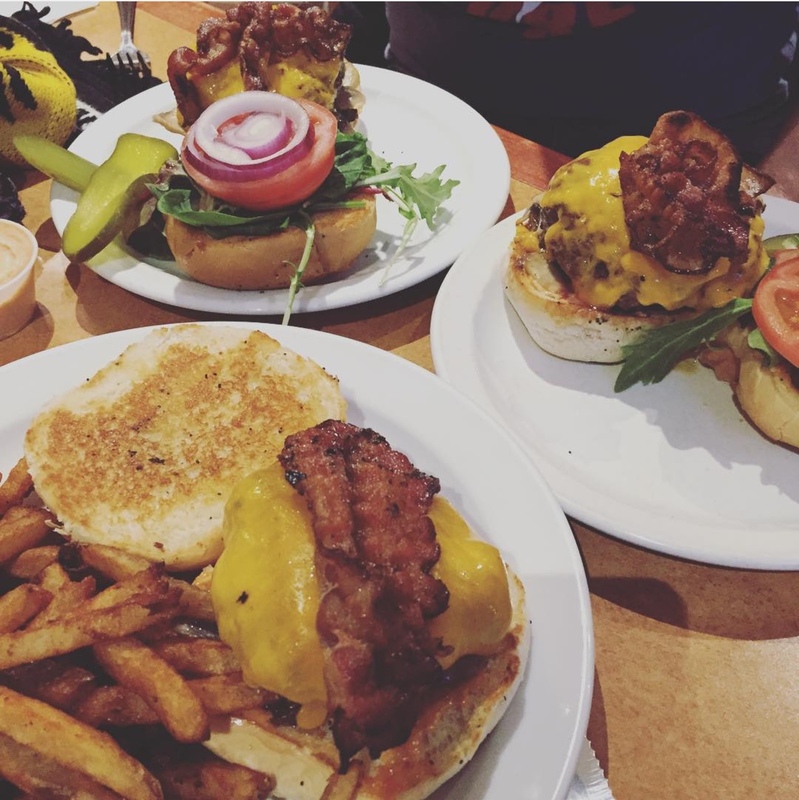 Montreal has tons of restaurants that serve primarily hamburgers and trust me, I’ve had my fair share of them but the one that gives me the most satisfaction is without a doubt from Burger de Ville (the one on St-Laurent)! 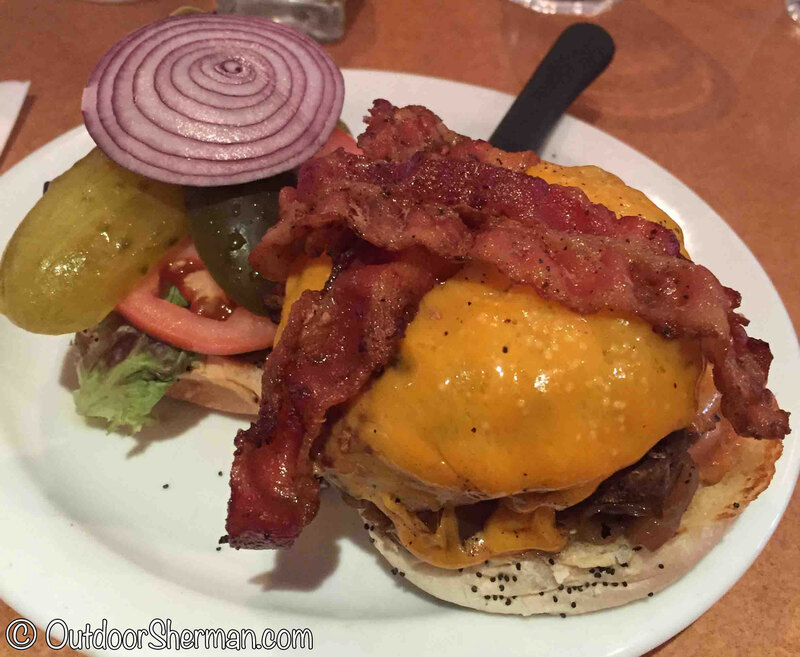 For me, what gives me the most satisfaction when I eat is when the food is cheap AND tasty…and Burger de Ville falls completely into this category! A regular hamburger costs only $6 and if you want to treat yourself with a bacon & cheese burger, it’s only $8! On top of that, their meat is never frozen and it’s definitely one of the most juicy and flavourful beef patties I’ve ever had. Wait…I’m not done…in addition to being cheap and tasty, all their toppings are FREE! How many times have you gone to a burger bar and your original $10 burger all of a sudden becomes $15 because of extra toppings?! You will not experience this here and I guarantee you will not be disappointed! 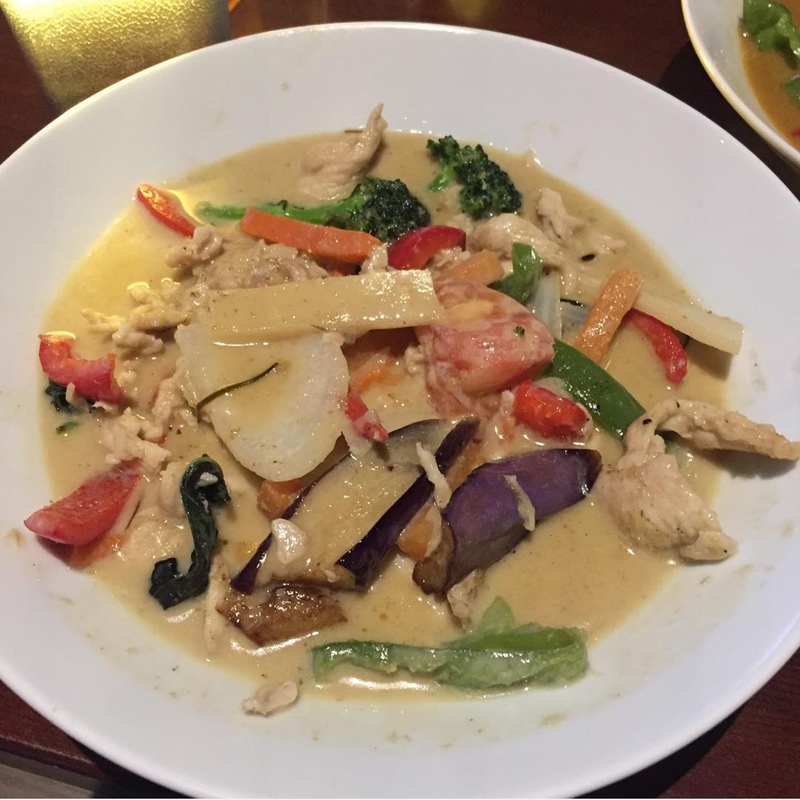 I really have no idea why Thai Restaurants in Montreal are so expensive but if you’re looking for one that’s delicious and won’t break your wallet, Bangkok Express is your place to go! Located on Monkland street, it’s a nice and simple restaurant catered for dates, friends’ gatherings or even families with small children. 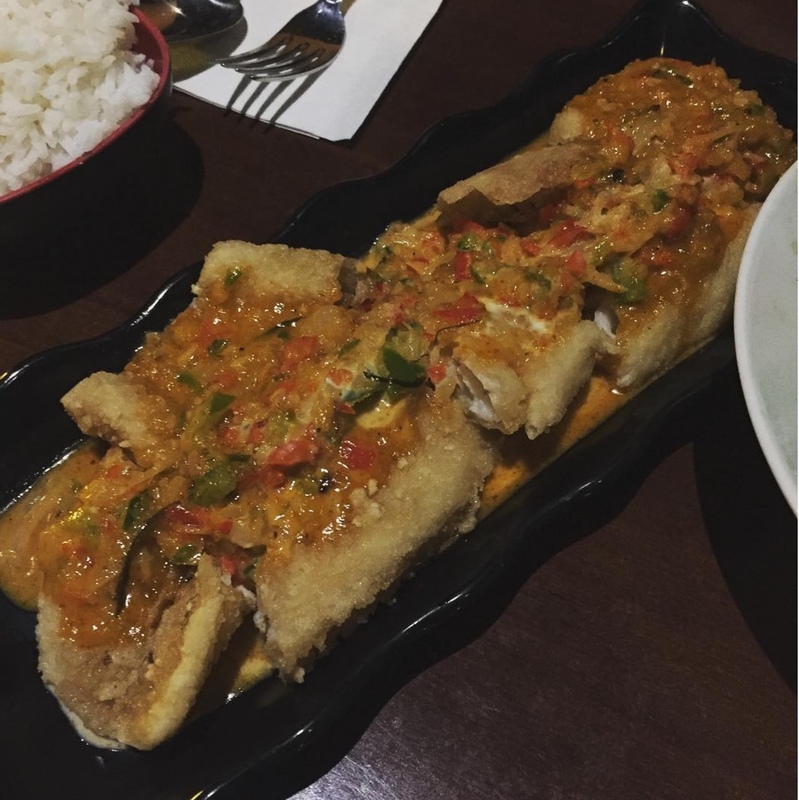 We’ve tried several of their dishes but our two favourite ones have to be their Choo-chee Fish (fried filet with a curry sauce) and their green curry! They are super flavourful…trust me, you won’t regret your choice! Other great options are their Beef Panang Curry and their Chicken in Peanut Sauce served with fried spinach. These dishes are between $11.95 to $14.95…Don’t know about you, but if you’re paying that little for dinner that tastes this good..it’s definitely on MY list of Montreal cheap eats! 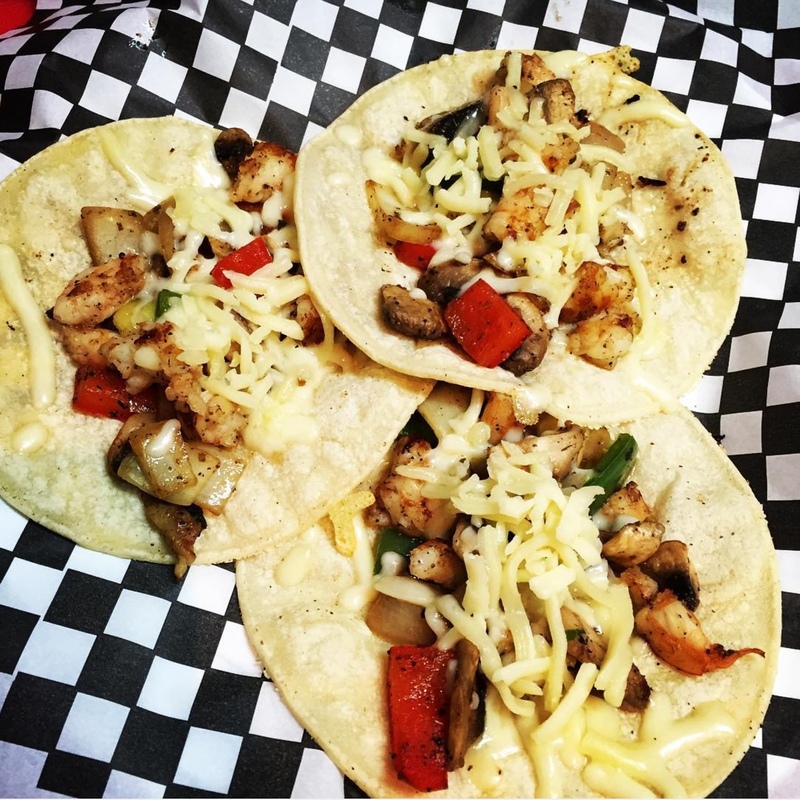 If you’re craving some delicious tacos, you should give Don Taco a try! It is a hole in the wall restaurant located in downtown Montreal near Guy-Concordia metro station. These tacos range from $1.75 to $2.25 which is a pretty good deal considering its size. I’ve been to other taco places where they charge you $1 each but they are much smaller compared to these ones. They have some common choices like Asada (grilled beef, coriander, onions) and Pastor (porc marinated with pineapple, onions, coriander) but my vote definitely goes to Lengua (beef tongue, onions, coriander) and Camarones (shrimp sautéed with veggies & cheese). I know beef tongue may seem a bit gross but trust me, they dice it up so you can’t recognize it 🙂 ! What makes them especially good is they cook each portion individually so you know they’re always fresh! 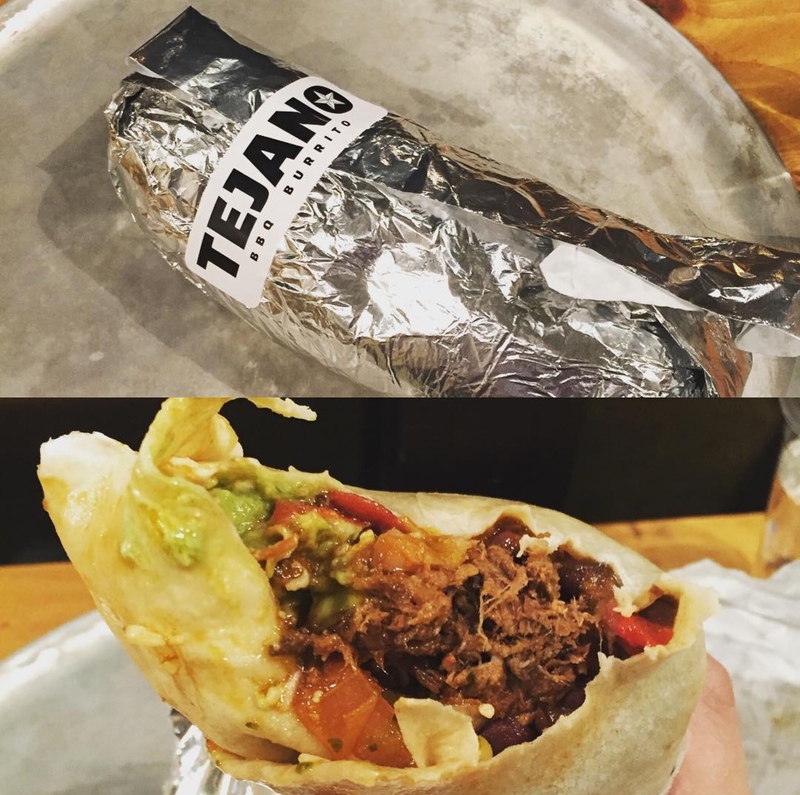 Continuing along with the same theme, another cheap place to eat located in St-Henri is Tejano BBQ Burrito! They are known for their giant stuffed with meat burritos. This tiny takeout place uses meat from Blackstrap BBQ to stuff their burritos! It kind of works similar to subway where you pick and choose what you want inside your burrito. Most choices are free except a few like guacamole for instance, but for $1 more, it is so worth getting it! So how much does this huge BBQ burrito cost you might ask? $12 including tax! I guarantee you’ll be satisfied and extremely stuffed! One of the most bang for your buck meals in Montreal has to be Meilleur Choix’s pork buns! Don’t be scared by this sketchy little store located underneath an apartment building in Guy-Concordia where the only way you can tell if they are open is by their steamed up windows. 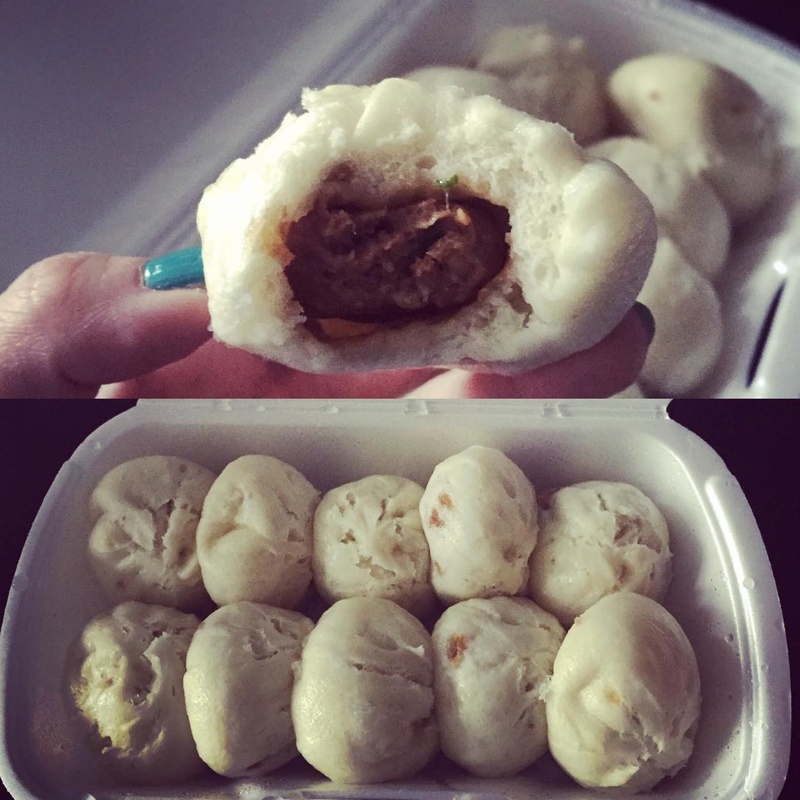 They’re not always opened but if they are, you must go try their steamed pork buns! They actually marinate their meat (unlike other dumpling places in the neighbourhood!) so it’s super tasty! A box of 10 costs only $5+tax. Pretty cheap for one meal! 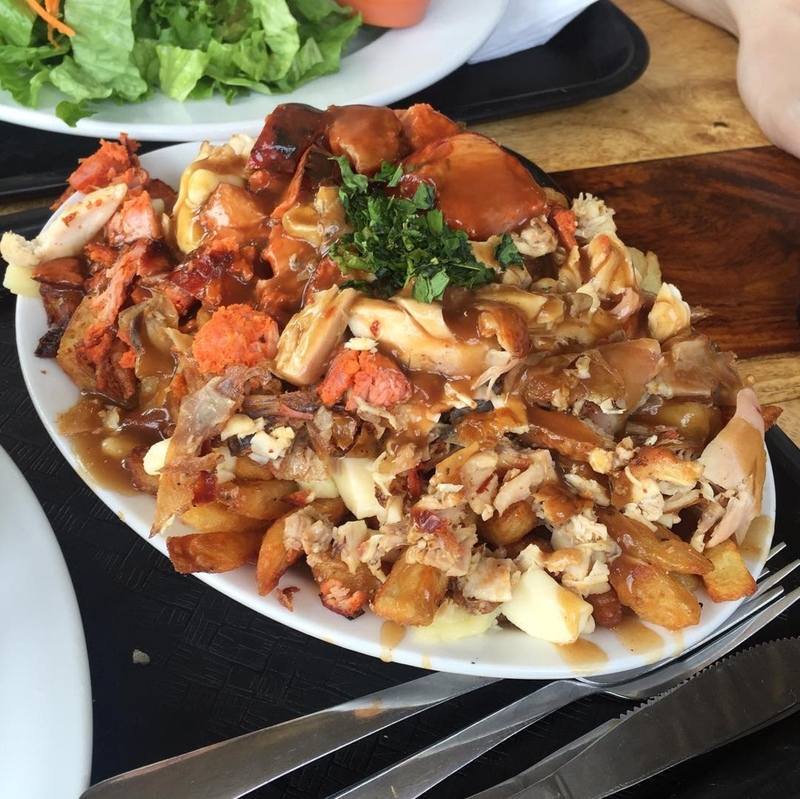 If you’re looking for a place to stuff yourself without breaking the bank, Ma Poule Mouille is the place to go! They’re known for their grilled Portuguese chicken, which is super juicy and tasty. You can get a full chicken ($14) or get a smaller portion with fries and salad (ranging between $9 to $11). Their salad is always fresh and their dressing is amazing! Their portions are huge so expect to have leftovers 🙂 I usually go for their chicken sandwich because it’s simple but it has so much flavour (and the best part of all…it’s only $6!)! But the dish you MUST have here is their Portuguese poutine!!! A pile of fries topped with tons of cheese curds, chicken, and chorizo…wow…it’s quite a mouthful! And the best part of all, the small one is only $8 (trust me, the small one is more than enough)!! Make sure you bring a friend along…cuz you don’t want to miss out on this delicious-ness! One of the places I recently added to my list of must eats is Marven’s. 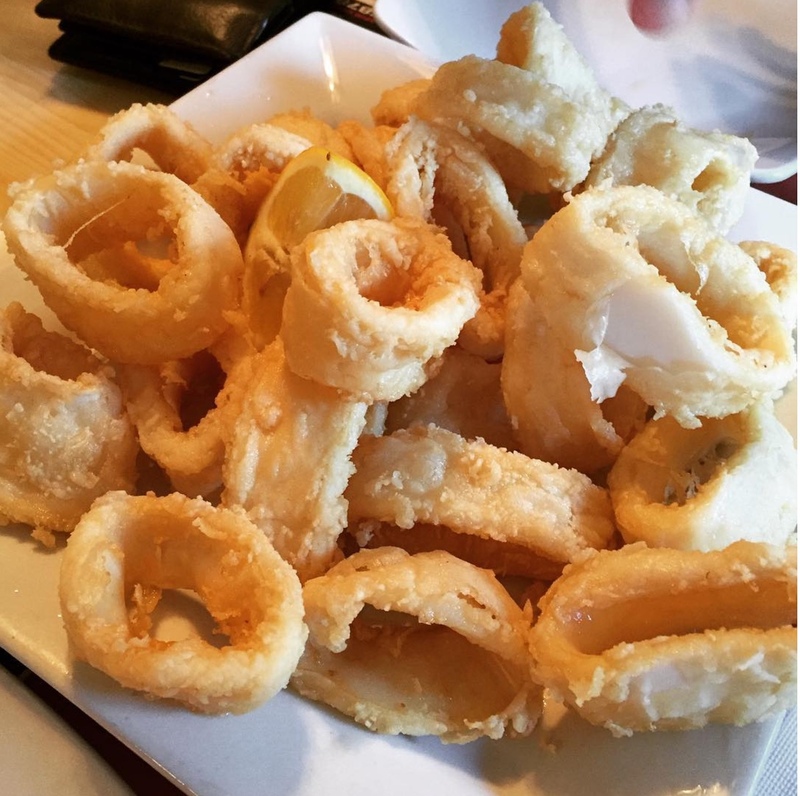 It is definitely not as cheap as the other places I listed above but if you’re craving some fried calamari…this is your stop! I’ve had my fair share of calamari and I can definitely say this is by far the best one I’ve had in Montreal! You know it’s good when every table orders a plate. They’re freshly fried to perfection and the portions are HUGE! Another plate we like is their 2 pita souvlakis for $14. This comes with a Caesar salad (LOVE the garlicky dressing), fries, and 2 pitas (pork or chicken- we usually go for the pork). So yes, the individual prices of the plates are not as low budget as the other restaurants BUT the whole meal cost us only $30+tax! Food was delicious AND we were stuffed…I think that’s a pretty good deal, no?! If you’re looking for a trendy Middle Eastern restaurant with a decently priced menu, Sumac Restaurant is your place to go! Located on Notre-Dame street between Lionel-Groulx and St-Henri metro station, this brick-walled restaurant has some flavourful dishes you don’t want to miss! Their plates, which consist of grilled pitas, hummus, and a choice of 2 salads (we usually go for the purple cabbage and fried eggplant – their fried eggplant salad is my fave! ), cost between $14 to $16. 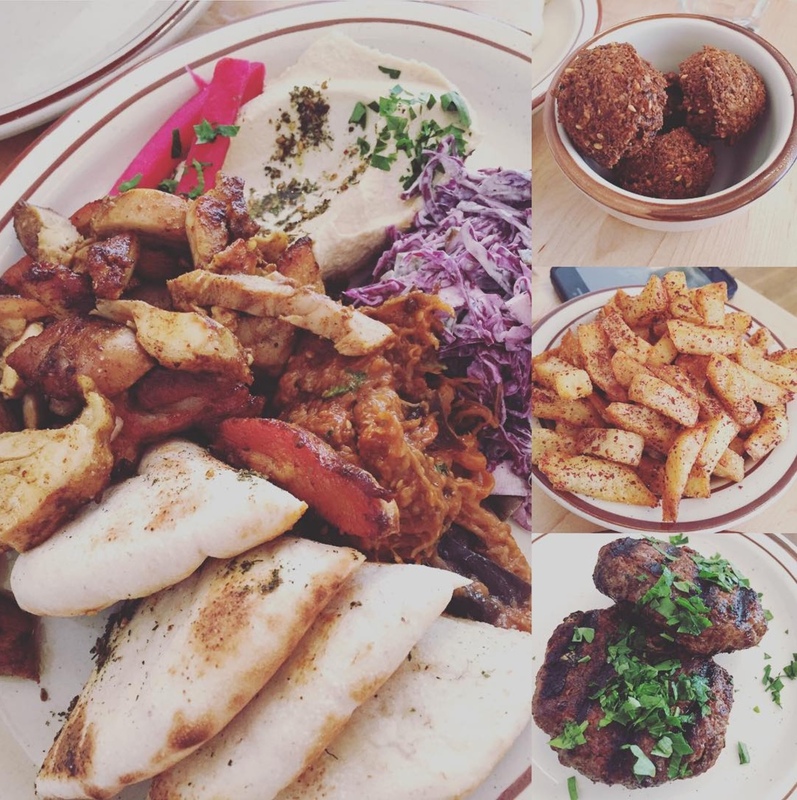 So what we usually do for 2 people is that we get one chicken shawarma plate and get a few sides to share. We’ve tried their beef kefta, their falalel, and their sumac fries which were all delicious! 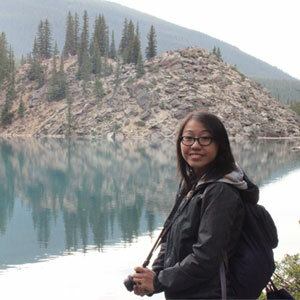 It’s a nice little resto worth checking out! 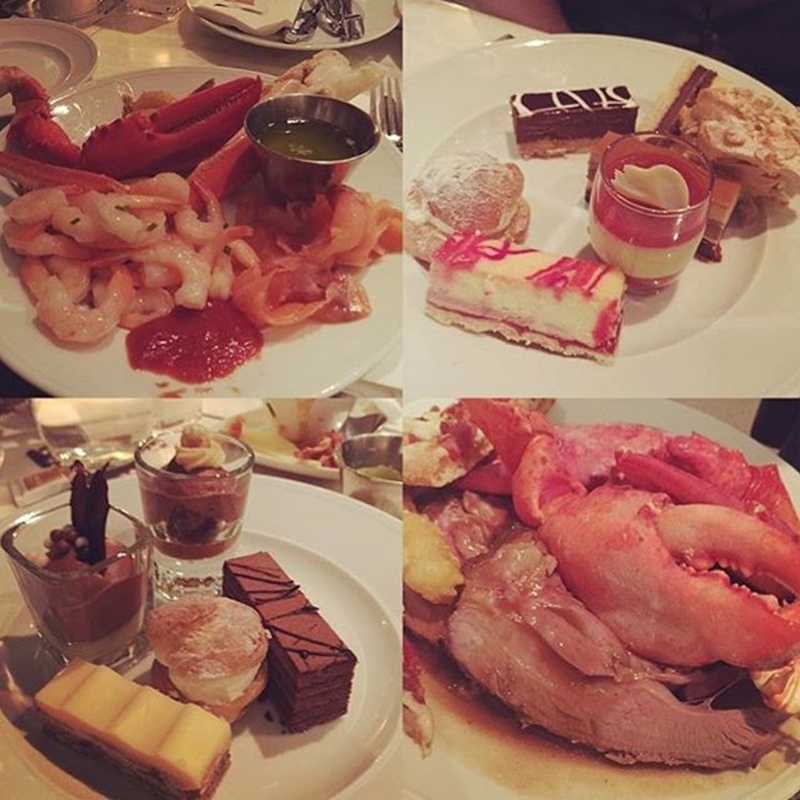 You can find a variety of all you can eat buffets around Montreal but if you’re a seafood fan, you have to try Pavillon 67! 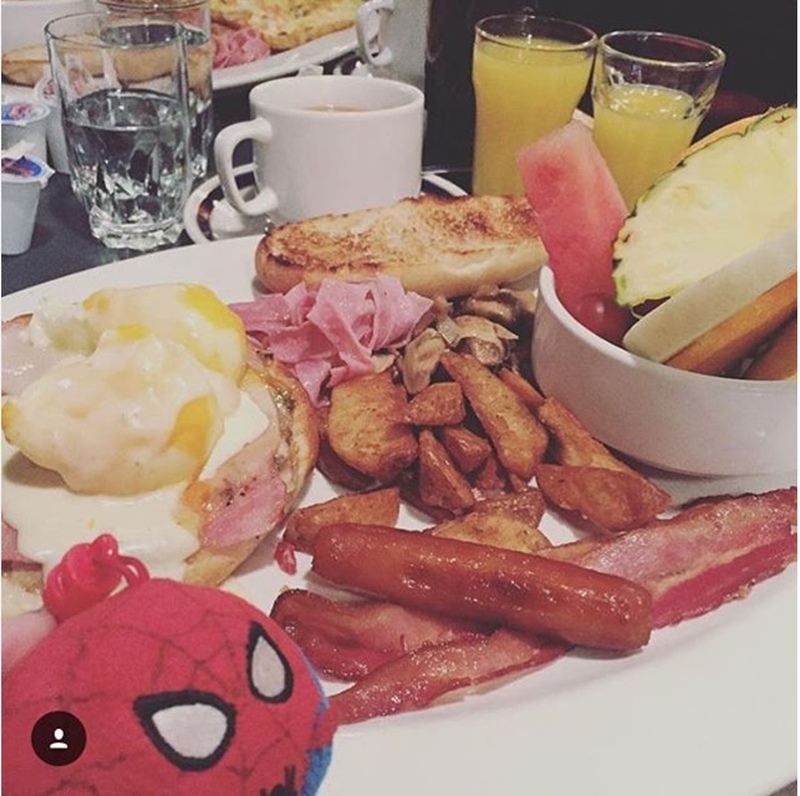 Located inside Montreal’s casino (you can just go there for food without gambling), this buffet has a pretty good selection of seafood like lobster claws, Alaskan crab, cocktail shrimp, smoked salmon, shrimp tempura, but the best dish of all is their lobster bisque…it’s really to die for! They also serve really tender roast lamb, beef, and smoke meat! And their dessert…ohhh where to begin?! They have a huge selection of bite-sized desserts so you can try as many as you like! My favourite has to be their little cups of chocolate mousse…yummy! If you’re looking for a super gourmet and filling Sunday all you can eat brunch, then you have to check out Vieux-Port Steakhouse! 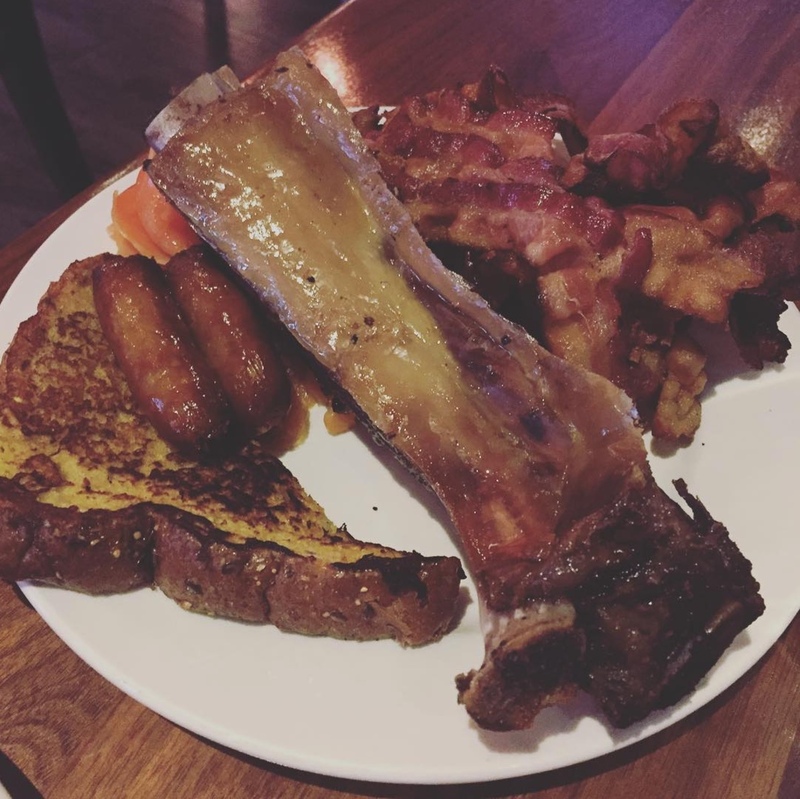 They have your typical brunch must have like bacon, ham, sausage, eggs, waffles, french toast…and in addition to that…they serve you…wait for it…BEEF RIBS! That’s right people, all you can eat beef ribs! They were so tender…gosh so good! Since they’re a steakhouse, they choose very good quality cuts of meat so their other meat dishes were just as amazing! Got to say, their desserts were so-so but I guess that’s alright since their meat dishes compensated for it. 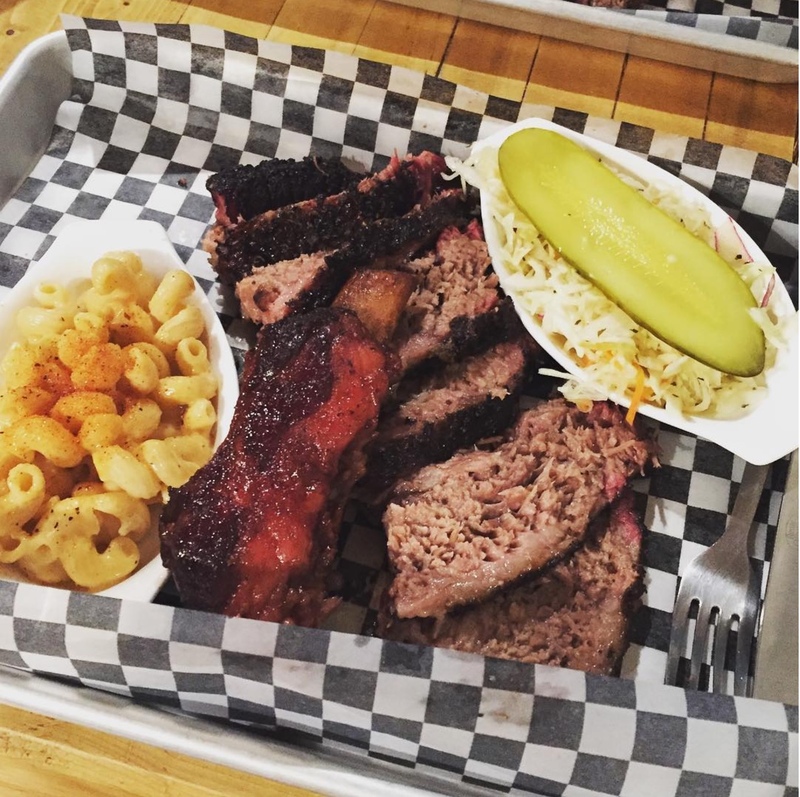 If you’re craving for some BBQ meat in Montreal, then you have to give Rubs American BBQ a try! We’ve been to both locations (one in Laval and one in the Plateau) and the moment we stepped inside the restaurant, the smell of BBQ just fills the room! 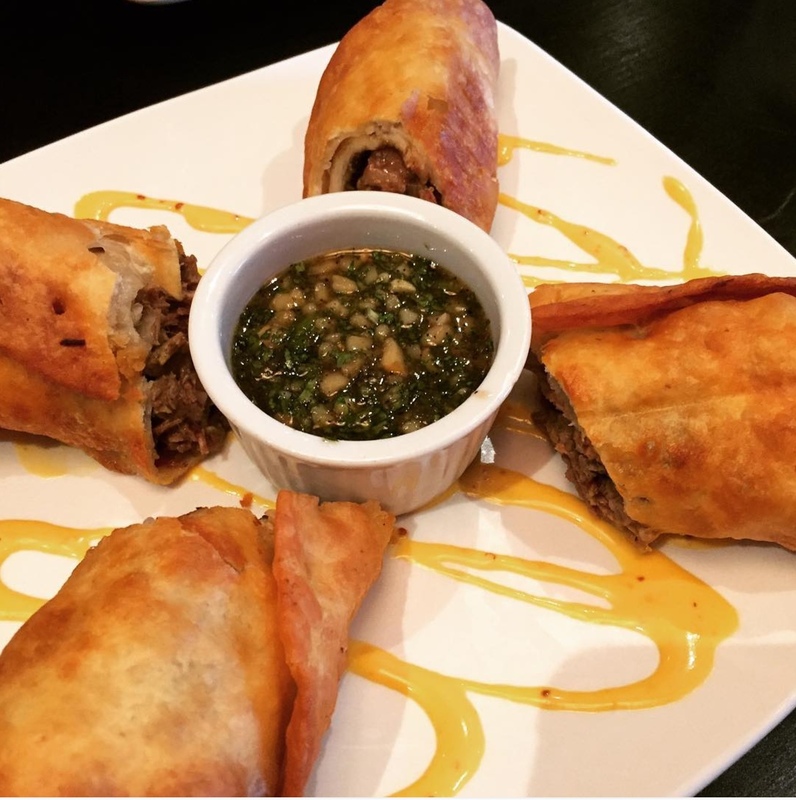 We’ve tried many things on their menu so here’s a few things you don’t want to miss out on! 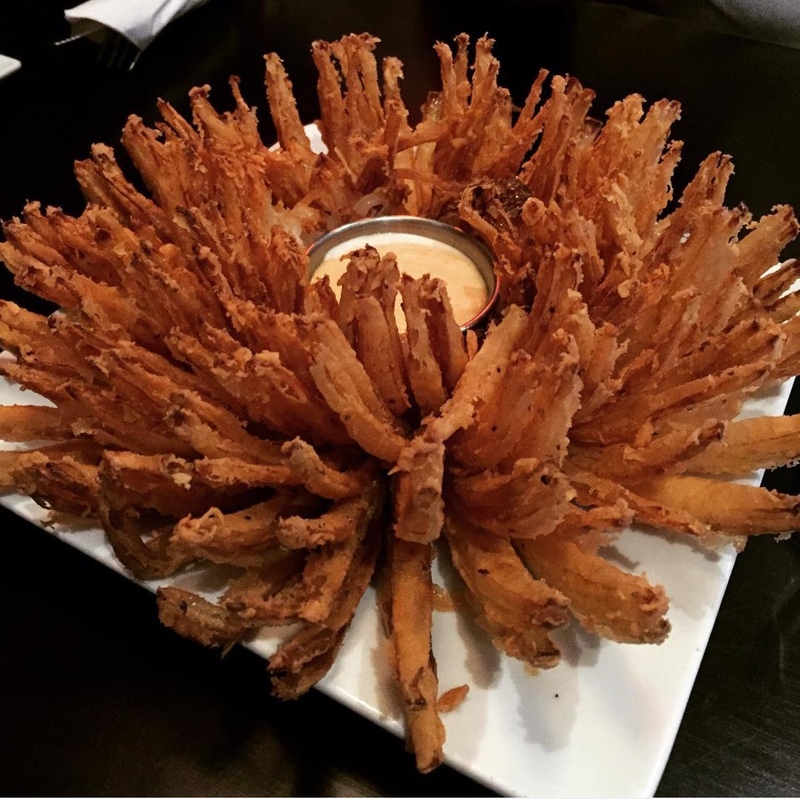 Let’s start with the appetizers…the Onion Blossom is a must…it tastes great and it’s super fun to eat…perfect for a group of friends to start off the meal. One of our top picks have to be their Brisket Rolls…a crispy spring roll wrapped with lots of brisket, avocado, guacamole, sautéed onion and mushrooms…need I say more?! Just talking about it makes me hungry! As for the main meal, you can’t go wrong with their signature dishes. We absolutely love their beef rib and brisket…it’s really outta this world! We also really like their pork ribs, fried chicken, and pulled pork. So usually, we try to order a bit of everything to satisfy our taste buds. 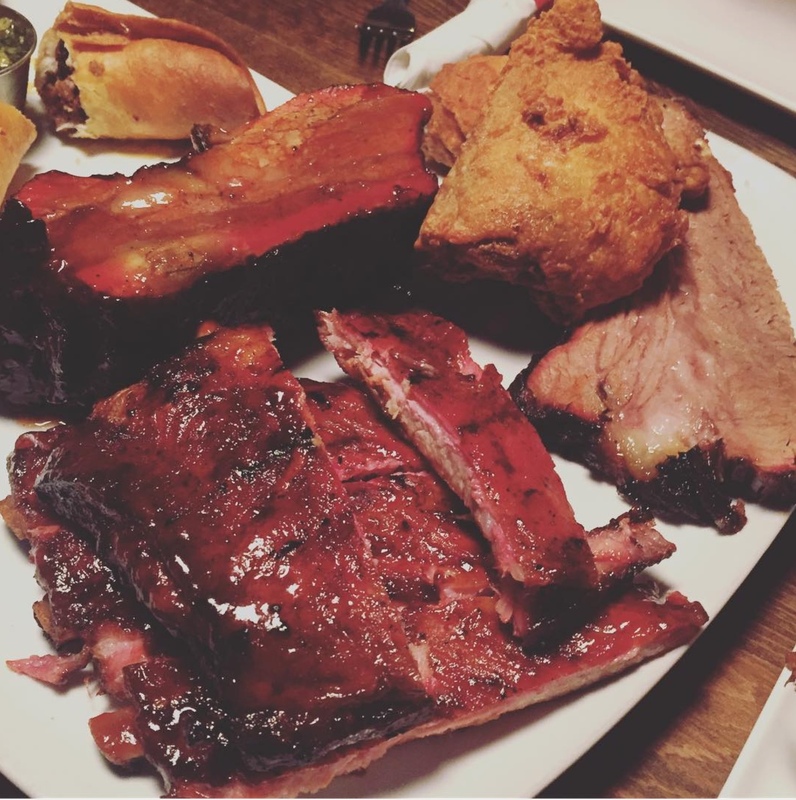 If you and your friends are a big meat lover, you have to go for their Texas Platter…brisket, pork ribs, chicken, and pulled pork for 4 people…it’s really quite something! I wouldn’t classify this as cheap eats but if you love meat and want to treat yourself once in a while then Rubs American BBQ is worth spending the money on! If you’re serious about BBQ then you have to visit Lattuca Barbecue in the Old Port of Montreal! They are only opened Thursday to Sunday and their menu consists of only several BBQ meats and a few sides…that’s it. The menu may seem very limited but people go there specifically for their BBQ meat so who cares about all the extra add-ons, right? If you plan to go there, you definitely have to try their famous brisket since the owner (who is also the pitmaster) won the “Jack Daniel’s World Brisket Champion” in 2012!! The brisket is so tender and juicy it literally melts in your mouth! It is by far the best brisket I’ve ever had!! Unfortunately they didn’t have the beef rib last time we were there but we tried their pork ribs and pulled pork which was also phenomenal! I guess the reason I really like Lattuca Barbecue is that they don’t give you sauces to dip the meat in so you can really taste the natural flavor of the meat. 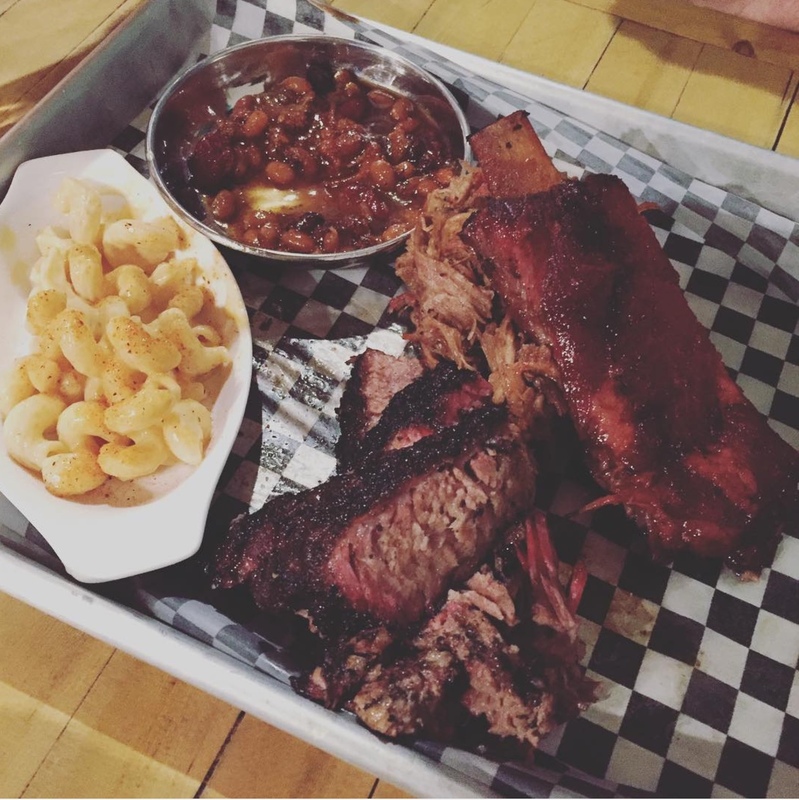 Overall, the restaurant is a bit pricey but if you’re looking for authentic BBQ in Montreal, then you can’t go wrong with Lattuca! I’ve lived in Montreal pretty much all my life but since I’m Chinese and was born in Hong Kong, one of my favourite foods of all time is Chinese BBQ (燒味)! For those of you who don’t know what it is, it’s basically Chinese-style roasted meat that tastes amazingly good and super cheap! Since I’m very picky with my Chinese BBQ, I would go to 2 or even 3 different restaurants in Chinatown just to get takeout to satisfy my tummy! For some good BBQ pork (叉燒 aka char siu) and roasted duck (燒鴨 aka siu yap), I would suggest going to Ruby Rouge…make sure you ask for the half fat, half lean pork (半肥瘦叉燒)! 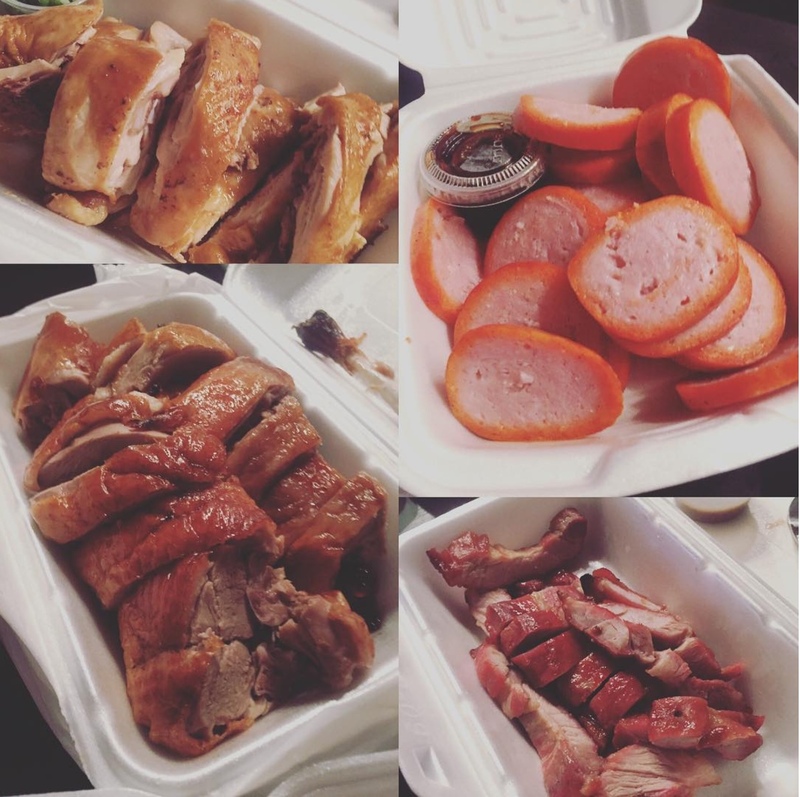 It costs roughly $5 for one strip of BBQ pork and under $11 for half a duck…not bad, no? I would also stop at Dobe & Andy for their Chinese red sausage (紅腸) which also costs around $5 for half the portion. I also really like roasted pork (燒肉 aka siu yook) but it’s always a hit or miss, so I don’t really have a specific place to go to buy them. Spending $40 on Chinese BBQ can literally transform your meal into a meat fest! So if you’re looking for some cheap eats in Montreal and want something satisfying, Chinese BBQ is a great option to go for! Alright…dessert time! 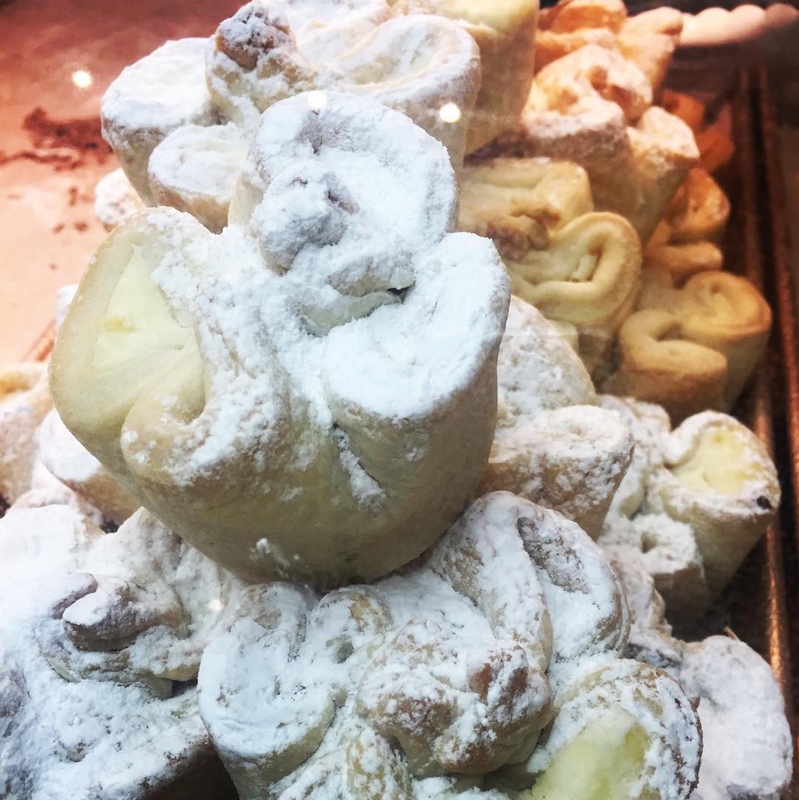 One of my favourite desserts in Montreal that I only got introduced to a few years ago are cheese crowns which we buy from Cheskie, our favourite Jewish bakery! 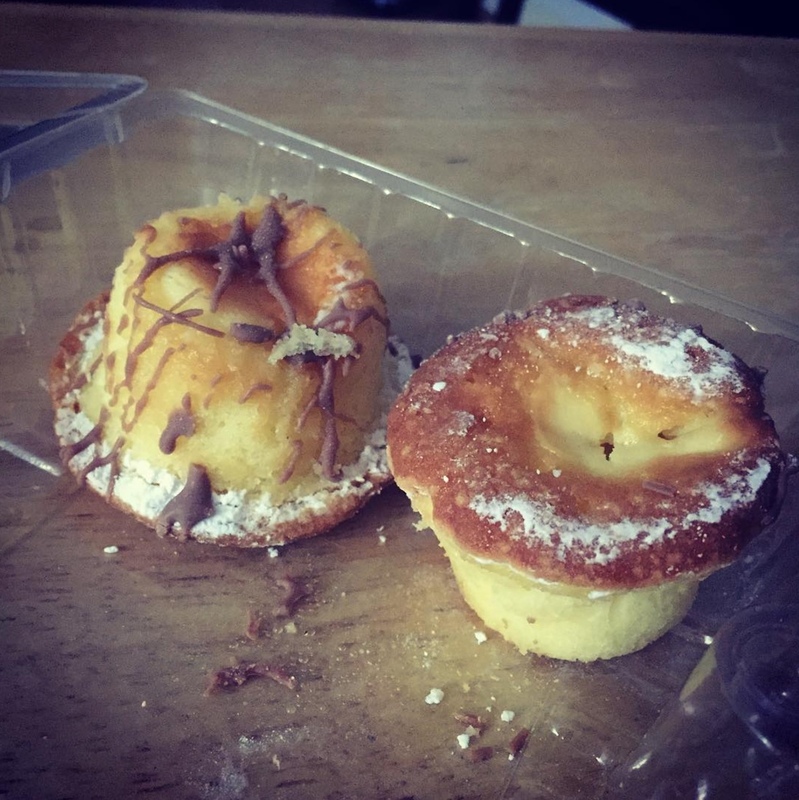 They are puffed pastries filled with a sweet cheese…simple, but oh so good! We usually eat them cold since they store it in the fridge but we had it once when they came straight out of the oven and it was INSANELY delicious! They also sell tons of other kosher baked goods and we’ve tried many of them but my favourite is still the cheese crown! 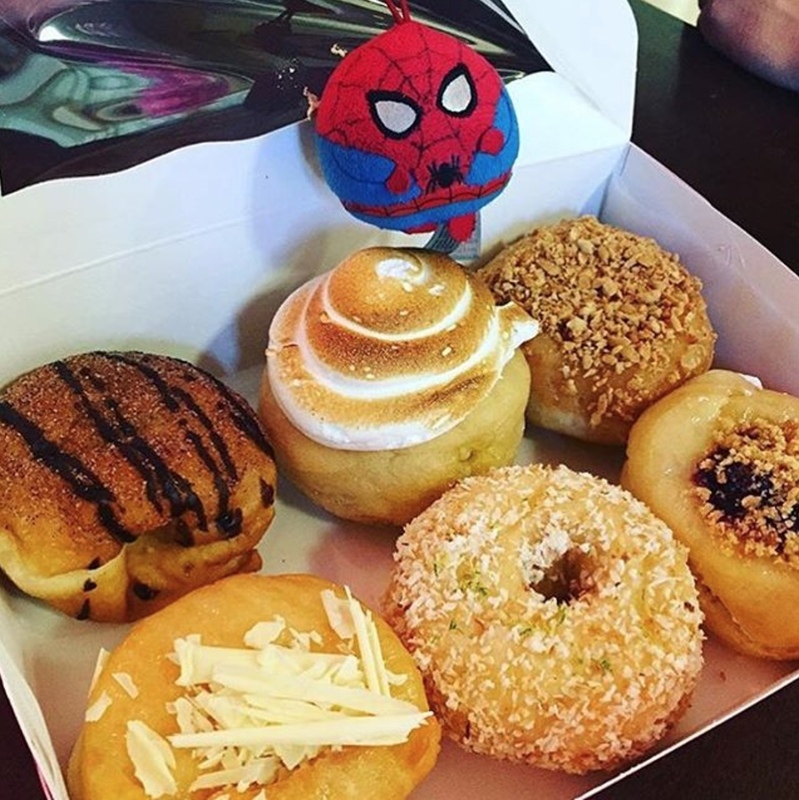 Another one of my sweet tooth cravings is the gourmet donuts from Léché Desserts! A little shop located in a factory building in St-Henri, they have the best donuts around town! They have an assortment of flavours like lemon meringue, chocolate mousse, sugar ‘n spice, lime coconut, tiramisu, s’mores…but my pick has to be WHITE CHOCOLATE! A perfectly fried donut stuffed with a not-too-sugary-but-just-enough white chocolate filling topped with a white chocolate shavings…hmmm…I’m drooling right now thinking about it! One thing to take note of is that they close at 6PM on the weekdays and 5PM on the weekends and they sell out a lot of their flavours so make sure you go early! (Note: this place is a block away from Tejano BBQ Burrito…so it’ll be perfect to grab a quick burrito and finish off with a donut after 🙂 ). 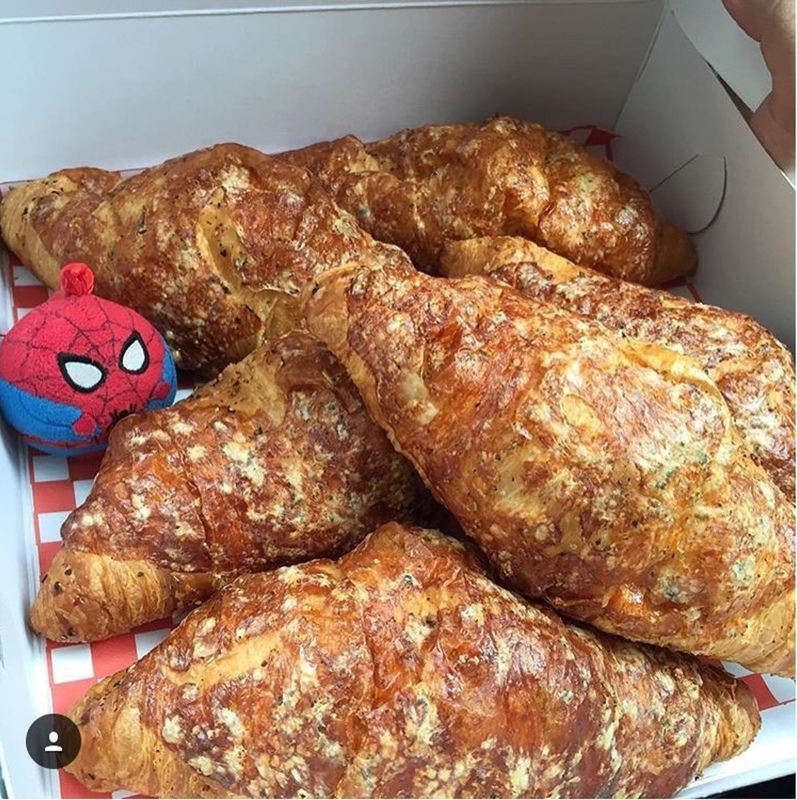 Montreal has no shortage of bakeries and pastry shops and you can pretty much find croissants everywhere but if you want to taste the best of them all, you must go to Sweet Lee’s to get their old cheddar cheese croissant! A giant fluffy croissant covered in old cheddar cheese topped with spices all over…trust me…it’s INSANELY YUMMY! Since I’ve had that, I am no longer able to appreciate any other croissants the same way! They also have a variety of delicious looking baked goods but we just go there for the croissants…and make sure you get there early since they tend to run out quite fast!